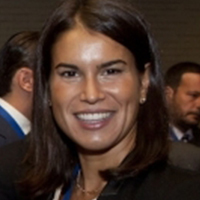 Cristina Romero de Alba leads the international practice of legal advisory firm LOYRA, known for its extensive experience in gaming law in Spain, Italy, Portugal and Latin America. She is a member of the International Association of Gaming Attorneys (IAGA), the International Masters of Gaming Law (IMGL), the Global Gaming Women of the American Gaming Association and the advisory board of G2E/American Gaming. Romero regularly collaborates with prominent gaming publications and has spoken at a variety of sector conferences. She is academic director of a masters programme titled The Gaming Sector at the Instituto de Empresa, which has been rated in the top 10 business schools by Forbes, the Wall Street Journal and the Financial Times.